Thomas Nunn dies leaving the inn and brewery to his grandson. 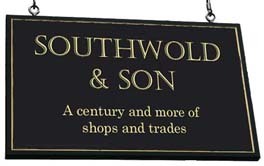 Thomas sells the business to John Woodcock of Halesworth. Arthur George Carter (1862-1944), Beer Retailer (SPM April 1895, K 1896). The establishment is billed as a Free House in advertisements. 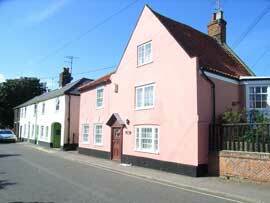 The late J B Harris writes in his memoir of Southwold: "According to legend, the Royal...was a free house. It was also known as 'Carter's' and was entered by going round the back of the building. The argument was that Carter could refuse Adnams if it was not up to scratch, so his beer was always good. The beer, that is mild, that he sold was known as 'Carter's cream'. Customers would order 'Two pints of Cream!'". Reproduced by kind permission of the author's widow, Mary Harris. The Royal becomes an Adnams tied House. Arthur Brown takes over as landlord with his wife Annie Brown. The pub closes and is converted into residential accommodation. The Old Royal as it is today.